Most experts agree that a budget, specifically an operating budget, is a critical component to being in business. 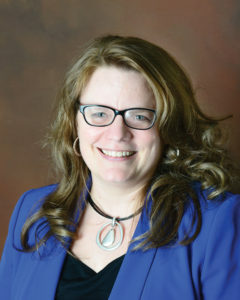 “If you’re a new business getting ready to start, you want to have a budget put together before you even open your doors,” says Lisa Shimkat, the state director of the Iowa Small Business Development Center. A budget, in short, gives the business owner a road map for how well their business is doing and whether they can afford to make purchases. It’s also a requirement of most financial institutions before they will lend money to the business or its owner. 1. Why do I need a budget? before they open their doors. 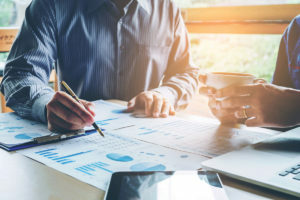 An operating budget, usually created for 12 months, helps track cash on hand, business expenses and projected revenue — all items that are important to make the business grow or to at least keep it afloat, according to Inc., a publication that focuses on small business and start-up news. the opportunity to spot problems before they grow bigger. vacations or time away during slow periods. Business owners who don’t operate with a budget risk not having insight as to how their business performs from year to year, whether there are cuts they could make to improve performance, or whether they have money for larger purchases, according to Inc.
Jane Foreman, owner of Art Happy in Grimes, owned a jewelry business before she started the collective of multiple business owners who sell their wares under one roof. Foreman used her money from her personal business to start Art Happy about four years ago. She’s operated Art Happy without an official budget, though she still tracks sales and her expenses. Foreman knows her rent and other fixed expenses. All sales for the business get recorded from the cash register into a computer program spreadsheet. Foreman knows the income she’ll have each month from the other vendors for their rent and uses that to offset her rent and the utilities. A business’ budget is also important to receive a bank loan or other financing for the business. There is no “one-size-fits-all” budget for businesses, Shimkat says. She recommends business owners work with a professional such as an accountant for assistance or utilize a local Small Business Development Center (SBDC). SBDCs provide free services to help business owners develop a budget. Even if the business owner isn’t comfortable with numbers, he or she still needs to have a budget. That’s where professional assistance comes in, Whited says. Small business financial software and budget templates are also available online through the U.S. Small Business Administration. The SCORE Association is another potential resource for business owners. It is a nonprofit group, supported by SBA, that utilizes retired professionals and volunteers to help entrepreneurs and small-business owners by giving free business advice. If a business owner has a budget from the previous year, he or she can use it to write a new budget. Those projections, combined with actual income and expenses, will help form estimates for the next year’s budget. A budget will be developed from a business’ sales and profit targets. If the owner has been in business for a while, he or she can use recent financial statements, pulled from a ledger or computer software program, to develop targets, according to Inc. Sales and profits will dictate how much the business owner can spend. If the business owner needs a loan to startup the business or to cover a cash shortage, he or she will need to work with a banker or lending institution. Whited says he wants a start-up business to provide two years of income projections and an existing business to provide historical financial data in order to consider it for a loan. He says he looks for business owners who have done their homework, have put thought into the budget, have done research to put it together and have a reason behind the figures. The sooner a business owner can put together a budget, the better, he says. 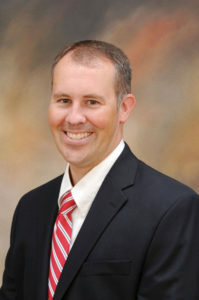 Stuart Oxer recently started a manufacturing company, JDSO Inc. in Grimes, with a business partner and was required to provide budget information to obtain a loan to move the food and alcohol manufacturing business into a new 20,000-square-foot building. whether it was feasible to start the new business, as well as at what date it would be cash-flow positive. “Without a real plan that the bank can see, they won’t give you a loan,” he says. Oxer’s plan showed the business had capital, equipment, inventory and personal guarantee to back the loan in case the business failed. He also recommends business owners, especially new ones, seek professional help. A business owner also needs to consider his or her credit score when trying to obtain a loan, he says. That can determine what percent he or she can borrow against a line of credit. 3. What should a budget include? 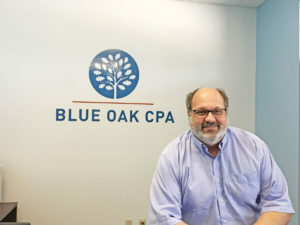 Stuart Oxer is the owner of Blue Oak CPA in Urbandale and has worked as a certified public accountant for 25 years. He also recently started a manufacturing company, JDSO Inc. in Grimes, and says a budget proposal was critical to receiving a loan for the startup of his business. 1. Expenses that are fixed, variable and semi-variable. Try to account for inflation and potential price increases, experts suggest. • Fixed costs remain the same. This can include rent, leased items and insurance. • Variable costs relate to sales volume. This can include cost of materials to make products, freight or shipping costs and inventory expense. It also includes holidays that are important to the business where the owner may need to purchase more inventory to meet demand. • Semi-variable costs are fixed costs that can become variable when business ebbs and flows. This includes salaries or advertising expenses. 2. Start-up costs for a new business. 4. Anomalies that could skew the overall budget such as a huge expense. 5. Expected revenue based on either industry comparison projection or a previous business or previous year’s records. Experts recommend erring on the side of caution and to be conservative with revenues. 6. Profit/cash flow to see if there is money available after all bills are paid for improvements, extra equipment or other capital projects. “While you can’t predict everything, putting the budget together better minimizes the risk,” Shimkat says. A budget also needs to be realistic, Oxer says. He recently learned that a business’ first year sales are generally 19 percent of what the owner estimates. 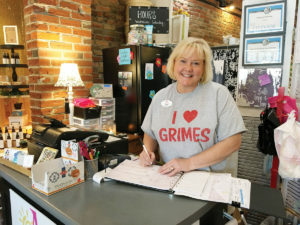 Jane Foreman, owner of Art Happy in Grimes, makes out checks to her tenants once a month. Foreman budgets for art shows and prepares for expenses throughout the year, but she doesn’t keep a formal budget for her business. Business owners should utilize their budget to determine if the business is meeting financial or production goals. The budget needs to be updated and reviewed at least once every month with actual expenditures and revenues. “The bottom line is we need (the business) to make money, and we need to make this business stronger and have a strong foundation to serve the community they are in,” Shimkat says. business owner might compare how much money he or she spent in advertising and marketing efforts compared to the amount that was budgeted. The budget can also show if the business keeps too much inventory on hand. A budget can better position the business owner with his or her competition by showing how many items the business needs to make per day, how much it charges compared to its competitors, and whether it’s marketing its product appropriately, Shimkat says. A business owner should review his or her budget at least once a month if not every week, Shimkat says. The budget will show whether the business owner has enough money to make a large purchase or pay employees and whether a short-term loan could cover a cash shortage. It also shows the business owner the gap in making a product and selling it versus when he or she is paid for that product, as well as how much product he or she needs to sell to make ends meet, she says. A business owner also should have his or her financial adviser review the budget each year rather than just relying on last year’s budget, she says. Oxer also recommends regular budget reviews.